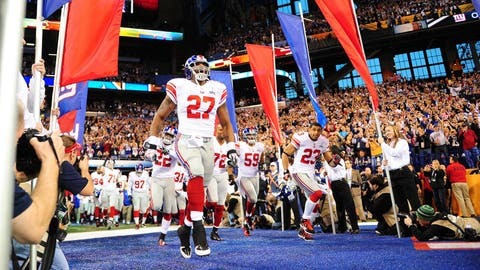 Running back Brandon Jacobs won two Super Bowls with the New York Giants. Running Brandon Jacobs’ tenure in San Francisco didn’t go well for either side. And Jacobs put 49ers coach Jim Harbaugh in the crosshairs as to why. "He is a b***h. That’s why he’ll never win anything," Jacobs told the Boomer and Carton radio show on Thursday. Jacobs played eight total seasons with the New York Giants, winning two Super Bowls with Big Blue.